Opening Wednesday night was Artiss Akarra with his line Eight | United Republic Affair. 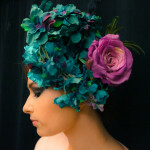 Artiss Akarra is a 2000 graduate from Rhode Island School of Design. Since graduating, he’s pioneered innovation and design as an independent designer in New England designing for various US and International brands over the past 15 years. He currently owns, designs and operates under his own luxury designer optical and swimwear brand EIGHT | United Republic Affair. The brand focuses on exclusive designer sunwear, swimwear and accessories. EIGHT | United Republic Affair is one of the top luxury eyewear and swimwear brands out of New England and rapidly expanding nationwide. This season, Akarra has done it again! Whether you prefer simple white or a splash of color, his work features tops, bottoms and one-pieces in many different cuts. 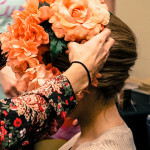 Add a vibrant cover-up and beautiful floral headpieces made by Crystal G. Pavlides to get the look from the show! the EIGHT | United Republic Affair show! Also, be sure to watch the video below capturing the show by our intern Nicole Tingle. You can order Akarra’s collection at his website HERE or visit www.eightura.com for more information. 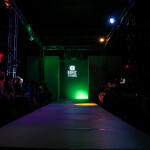 Keep checking back for more coverage of StyleWeek season 10!